Congratulations to graduate student Jiabie He on her first-author publication. 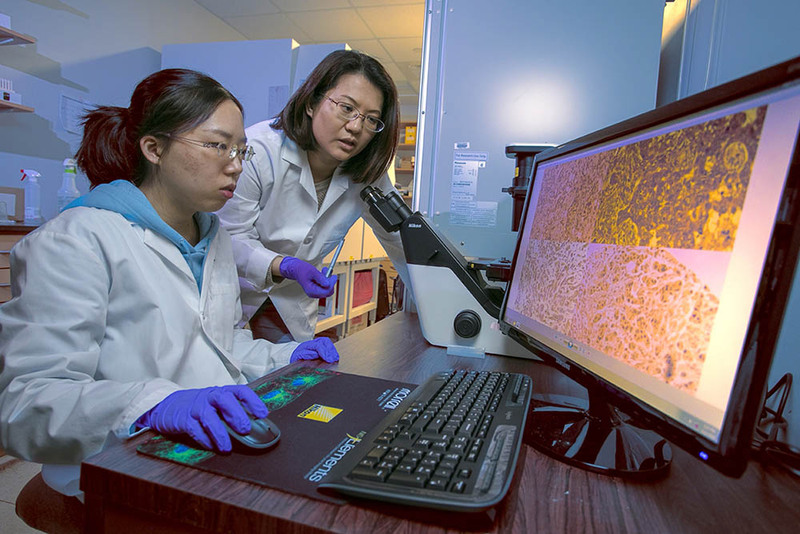 Lori Chan and her team identified a gene dubbed USP2, which is involved in driving the growth of cancer stem cells. The scientists also figured out a way to block stem cells specific to the disease. Congratulations to Kaitlyn Koenig Thompson; recipient of the 2019 President's Award for Excellence in Teaching by a Graduate Student. The winners of the President's Award for Excellence in Teaching will be invited to participate in the August 2019 Workshop for New Teaching Assistants, presented each year to new doctoral students during graduate orientation events. Study led by Markus Seeliger, PhD, Shows New Way to Group Protein Kinases as Cancer Drug Targets. Study Shows New Way to Group Protein Kinases as Cancer Drug Targets. For complete article please read HERE. Please click here to see the full announcement. Drs. Bruce Demple and Rachel Caston - Breathing Lunar Dust Could Pose Health Risk to Future Astronauts. A new study from researchers at Stony Brook University finds simulated lunar soil is toxic to human lung and mouse brain cells. Up to 90 percent of human lung cells and mouse neurons died when exposed to dust particles that mimic soils found on the Moon’s surface. 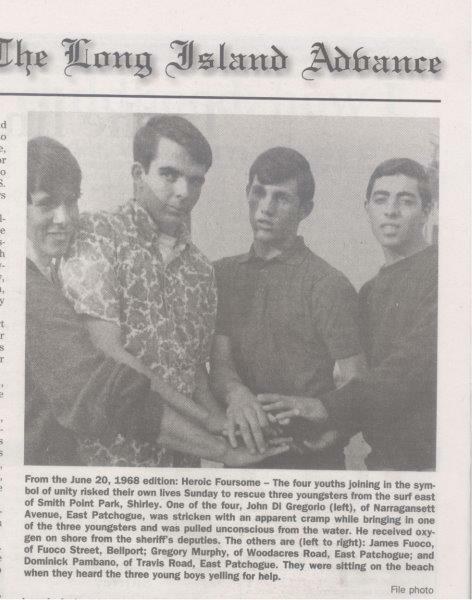 Senior staff Dominick Pombano makes local newspaper's 50th anniversary archives for saving three young lives in 1968. We are proud to recognize Pharmacology senior staff member Dominick Pombano for his heroic actions fifty years ago saving three young lives in 1968. Former graduate student Luisa Escobar-Hoyos co-investigator on 2018 grant award. For complete story please click HERE. After winning the NASA Fame Lab science communication competition in 2014, Pharmacology Postdoc Lyl Tomlinson (’17) will now make an even broader impact as one of the American Association for the Advancement of Science’s (AAAS) newest science policy fellows in Washington, DC. Pharmacology Undergraduate student Omar Zainul receives Award for Academic Excellence. Pharmacology Undergraduate student Omar Zainul receives Award for Academic Excellence at the 36th Annual Undergraduate Recognition Awards Ceremony and Reception held on Monday, April 16, 2018 in the Student Activities Center Auditorium.